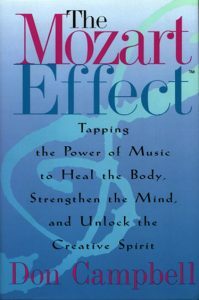 So, I am revisiting a book called The Mozart Effect by Don Campbell. It’s all about the power of music and sound to heal and largely follows the research of Alfred Tomatis, a French physician who discovered ways of treating everything from Alzheimer’s to autism with sound. And there’s more. Different genres and even the music of specific composers can be used to boost creativity and subconsciously reorganize the brain. As the saying goes, there’s something in it for everyone! But I digress. 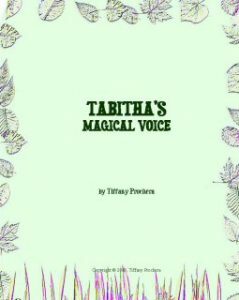 So, there are so many things that are coming up for me as I continue reading this book. How can I help others heal with my work? How can I use music to help others, even if it’s not mine? How can I help improve my own life with these techniques? Have you ever thought about how you might be able to use your art form to heal – not just through the stories you tell, but through the technical processes of your medium? There is a growing interest in art therapy – with people working in hospitals and clinics to promote recovery and wellness. To practice music therapy, you actually need to get a degree and I imagine that’s pretty common among the art forms. But if that’s quite your thing or you’re not really interested in working in a clinical environment, you might want to consider at least doing some research into the field to see what techniques or applications you might want to incorporate into your work to make it even more impactful. And in Swimming Tigress Music Land, I am super happy to announce that we are now On The ‘Zon! I think that should be a new hashtag – #OnTheZon ! 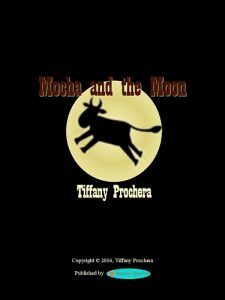 Anyway, I have finally released three Kindle ebooks on Amazon – A Candle A t Both Ends, Tabitha’s Magical Voice and the original story of Mocha And The Moon – along with the paperback version of Candle. 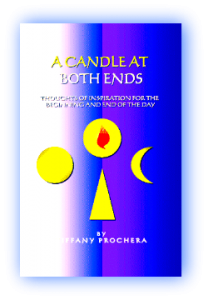 There is a load of inspiration and fun in these reads to I invite you to check them by visiting the links below and get your copies today. And you can spread the word while you’re at it! Enjoy!